Andalucía is one of 17 autonomous regions in Spain. It is comprised of 8 provinces – Malaga, Sevilla, Granada, Cordoba, Jaen, Cadiz, Almeria and Huelva. With a surface of 87,268km (33,694 square miles), Andalucía is larger than countries like Belgium, Denmark and Austria. The region’s 4 main cities are Malaga, Granada, Cordoba and the capital Seville. It’s an area of incredible contrast, ranging from the glorious sandy beaches on the Costa del Sol to surfers’ beaches in Tariffa, from dramatic mountain ranges El Torcal, La Subbetica and La Axarquia to the snow covered peaks of the Sierra Nevada. In addition to the wide variety of coast and countryside, Andalucía also offers different climates. Where else is it possible to swim in the sea, look at snow-capped mountains and, after only a couple of hours’ driving, go skiing all on the same day? Among the many tourist destinations to visit is the nature reserve El Torcal, famous for its rock formations, Lobo Park, a wild park and home to 4 different subspecies of wolf, and the Donkey Sanctuary of Fuente de Piedra. 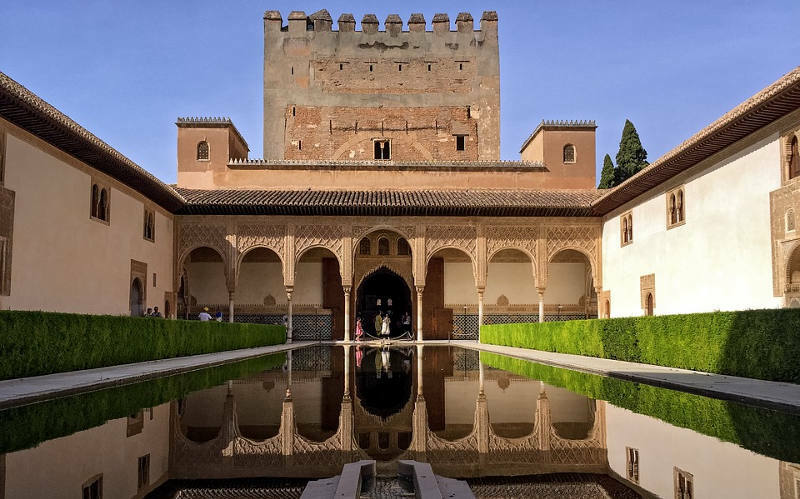 Probably the most famous of all places in Andalucía has to be the Alhambra Palace in Granada. If you’re planning a visit (which is highly recommended! ), we suggest that you buy your tickets in advance as sometimes visitor numbers are limited, and that you split your visit over 2 days to allow enough time to take it all in. Andalucía has a number of legendary characters including Jose Maria El Tempranillo, Spain’s very own Robin Hood. He was born in Jauja, a small village in the southwestern corner of Cordoba province. Praised for his excellent manners, he was nevertheless (in)famous for stealing from the rich and giving to the poor. Products originating from towns in Andalucía include mantecados and polvorones – Spanish shortbreads produced in Estapa in East Seville province. While mantecados can be found throughout the year, polvorones are typically eaten at Christmas time.